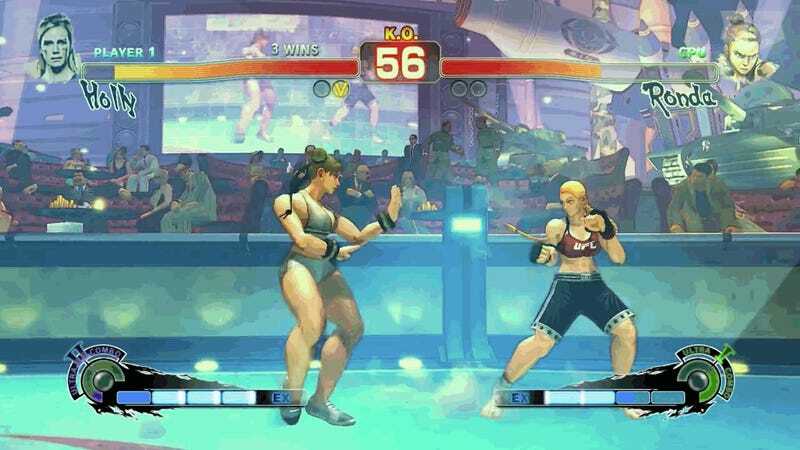 The Street Fighter version of the Ronda Rousey/Holly Holm fight isn’t quite as bloody as the real thing. Still really quick, though. YouTuber Richie Branson—who previously modified Street Fighter characters to stand in for the former UFC women’s champ and Floyd Mayweather in another video—has a quick clip that uses a modded Chun Li as a stand-in for Holm. This time, the remixed Cammy-as-Rousey doesn’t fair so well. Points to Branson for accurately recreating the knockdown strike, too.